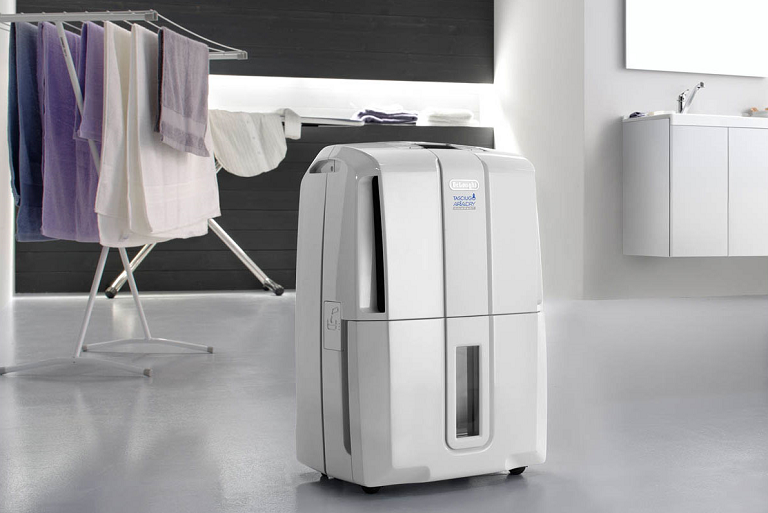 Keep your home free from mould and mildew with the excellent DeLonghi DDS25 Dehumidifier. Highly functional, this dehumidifier features a laundry option to dry clothes and a powerful filtration system to help clean the air. The DeLonghi AriaDry 25L Compact Dehumidifier has a laundry function, letting you dry clothes quickly inside your home. You can enable the AriaDry’s laundry setting whenever there’s no set humidity level. 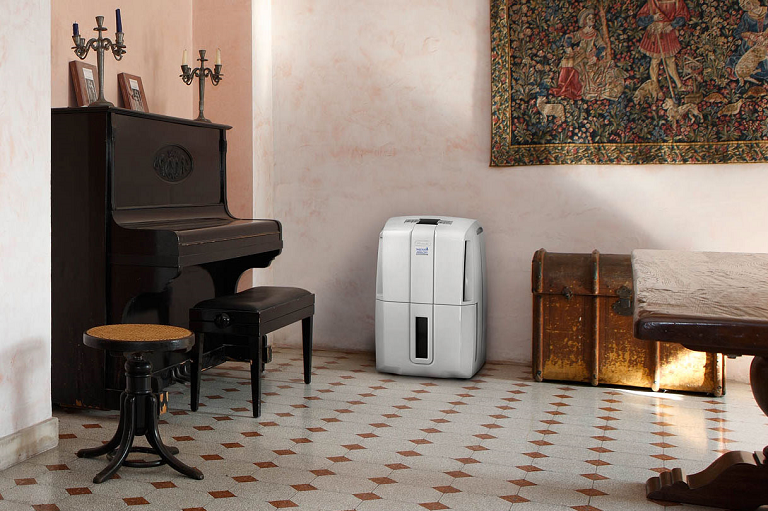 Clean the air inside your house using the DeLonghi dehumidifier’s Air Filter system. With the AriaDry dehumidifier’s humidity controls disabled, you can turn on the filtration function to remove bacteria from the air and prevent mould and mildew build-up. Featuring a 3-speed fan, this compact dehumidifier has a humidity control setup that can be easily adjusted to suit your needs. The DeLonghi AriaDry has a continuous draining system for safe and consistent operation. Thanks to its straightforward electronic controls, changing the DeLonghi AriaDry dehumidifier’s settings is quick and easy. The dehumidifier system’s water tank has a viewing window built-in, letting you check water levels immediately. Protect your purchase with Product Care®. Get a brand new replacement if your product suffers an eligible fault through our hassle free support process, plus enjoy a range of exclusive benefits and discounts each year so you experience your new product even more. With Product Care® you can relax knowing your purchase is protected. After an assessment, if your product suffers a fault covered by the terms of your plan, we’ll arrange to have a brand new replacement delivered to your doorstep. Our range of support options ensure you experience an easy and hassle free process when you need to talk to us about your Product Care® plan. Whether you are experiencing a fault, or wanting to redeem your entitlements, we will provide you with guidance and support every step of the way. Having Product Care® with your purchase means you can enjoy a range of special benefits that are exclusive to you and will help you enjoy the experience of your new product even more. Conditions apply. This section should always be read in conjunction with the Terms and Conditions for Product Care® Replacement (Electrical). 24 Months Interest Free - No Payments. Offer ends 29/04/2019. 12 Months Interest Free - with Monthly Payments. 6 Months Interest Free - No Deposit, No Interest, with Monthly Payments.